This was a very honest tale of a punk rocker. I've been a fan of Against Me! 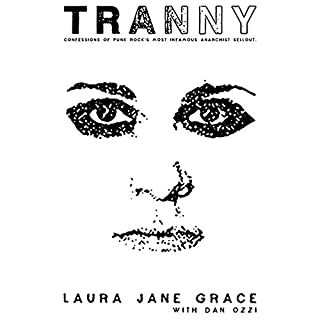 and Laura Jane Grace for some time now. I was actually at many of the shows you mentioned in Arizona. I really didn't realize there was that much disfunction with Warren. I also cannot believe the utter poverty Laura put herself through before her transition. I understand the drug use in the punk scene, I just didn't realize how hard it was to make it as a punk rock band. I do think Against Me! could still stick with their current sound and be as big as Green Day. I'm super happy that Laura narrated her audiobook as well. I find her voice very soothing. I could honestly listen to Laura, Nick Offerman, Diane Rehm, and Terry Gross all day in that order. I'm a punk with a wide range of tastes and Laura delivered. Thank you for your brutally honest story.